Opa’s sundried tomato and basil sausage 1 lb. Opa’s sundried tomato and chipotle sausage. 1 lb. Hands down our best selling product and for good reason. We start with the best pork and beef that we've seasoned with our special blend of spices, then carefully smoke to perfection. (It's a family recipe that's been handed down for generations. ) These links are perfect for grilling on the bar-b-que pit or sauteed in a pan. 3 lbs. Pork and beef. We start with the best beef that we’ve seasoned with our special blend of spices, then carefully smoke to perfection. These beef links are perfect for grilling on the bar-b-que pit or sauteed in a pan. 3 lbs. Beef. If you like your smoked sausage to have a bit of a kick then this wurst should be your first choice. This all beef sausage is seasoned with pieces of jalapeno, then carefully smoked to perfection. Excellent pan fried, grilled or broiled for any occasion. 2.5 lbs. Seasoned​ with just the right amount of jalapeno for a spicy kick. Made form pork and beef then smoked for added flavor. 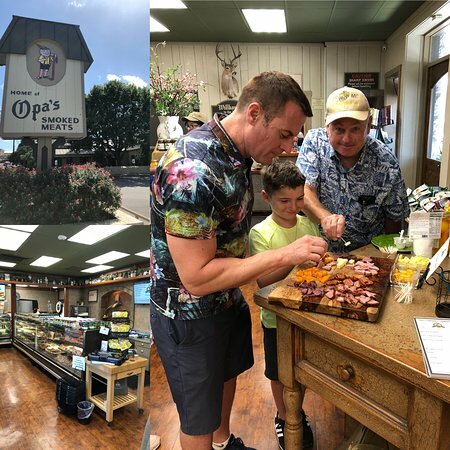 Opa’s sausage comes fully cooked and is ready to heat and serve. Try it wrapped in a flour tortilla for a savory snack. 3 lbs. We add aged cheddar cheese to our jalapeno sausage for a tasty combination. Great on the grill for a casual dinner. Comes fully cooked and ready to heat and serve. 3 lbs. an authentic old world flavor. this traditional German sausage is generously stuffed with a mouth-watering mixture of medium ground seasoned veal and pork. serve on a bun with sauerkraut and a zesty mustard, or simmer in beer then finish off on the grill. fully cooked and ready to heat and serve. 1 lb. plump, juicy and subtle in flavor. our family recipe features finely ground beef and pork for a mildly seasoned and smoked German sausage. made with all natural casings and delicious when served with red cabbage and German potato salad. 1 lb. Also known as liverwurst, our recipe starts with 100% pork liver. for a sumptuous spread, blend with sour cream and serve with crackers. for a more traditional treat, serve on German rye with onion slices. fully cooked and ready to eat. 1 lb. There's nothing like a little pepper to kick things up a notch. We start with a boneless ham that’s expertly trimmed. Then we generously season it with freshly ground black pepper and hickory smoke for absolute perfection, which explains why it's our best selling ham. Fully cooked and easy to slice, this ham may be served cold or gently warmed in the oven. (We prefer room temperature ourselves. ) Holiday ham 2-3 lbs. Smoked peppered bone in ham spiral sliced 12-14 lbs. Flavorful, tender and juicy. Just reading about it makes the mouth water. Each ham is carefully skinned and trimmed so you enjoy more meat and less fat. Black pepper adds a spicy kick to the rich hickory flavor. Fully cooked and ready to enjoy slowly warmed or sliced cold. 12-14 lbs. Pride in every sumptuous bite. We begin by hand selecting just the right hams for leanness then smoke them for no less than twelve hours. To compliment the hickory flavor we add opa’s prized honey glaze for a sweet taste. From start to finish, this ham is tender clear down to the bone and is spiral sliced for easy serving. Well suited for formal entertaining and the holidays. Whole ham 12-14 lbs. Smoked Peppered Bacon 1 Lb. Just the right blend of peppery spice and hickory flavor. We use lean pork that’s smoked to perfection and cut into thick, country style slices. 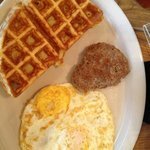 Each meaty piece offers a delicious way to jumpstart the morning. 1 lb. 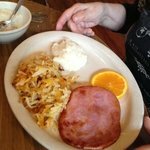 Smoked Canadian Bacon 1 Lb. Smoked​ to the peak of flavor and always tender. Our lean canadian bacon is a welcome treat at the breakfast table, or try it as a pizza topping, in hot sandwiches or simply enjoy as a snack. Ready to heat and serve. 1 lb. The best of both-our fabulous beef jerky and turkey jerky. Hungry for a little snack? We have just the treat. Our cured, hand seasoned beef jerky is very low in fat. Always tender and moist, it’s slowly hickory smoked for full flavor. A nutritious way to hit the spot. 1 lb. We begin with choice turkey tenders that we cure, hand season with cracked black pepper and slowly hickory smoke for full flavor. It makes a perfect gift for hunters, campers, and fishermen. Be sure to get some for yourself too. 1 lb. Plump, moist and truly the prize of all birds. Each turkey is hand seasoned with opa’s blend of savory spices and is slowly hickory smoked. Flavorful? Absolutely. Easy to serve? Without a doubt. Our turkey is fully cooked so you may gently heat or simply allow to thaw and serve at room temperature. For any special or family gathering, it’s the perfect centerpiece. Perfect for an easy dinner or weekend picnic. We start with fresh, plump fryers and season them with our special blend of spices and then we hickory smoke them. 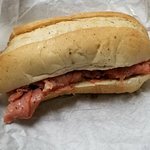 You’ll find the extra time and effort we take pays off in each moist and flavorful bite. Our chicken is fully cooked and easy to serve. Box of two smoked chickens. Box of three smoked chickens. Each turkey leg is hand seasoned with opa’s blend of savory spices and is slowly hickory smoked. Fully cooked so you may gently heat or simply allow to thaw and serve at room temperature. Pkg. Of 2. Peppered Beef Tenderloin 1 Lb. Indulge yourself with only the best. Prepared from prime cuts of beef, our tenderloin is smoked and lightly peppered. Lean and tender, each delightful piece melts in your mouth. Ideal for upscale hors d’oeuvres and special dinner occasions, one bite and you’ll see why it’s truly habit forming. Fully cooked and ready to eat. 1 lb. Peppered Beef Tenderloin 2 Lbs. Peppered Pork Tenderloin 1 Lb. The best cut of pork for tender and delicious flavor. Well seasoned with cracked black pepper, it offers a mouthwatering blend of spice and hickory smoke. Deliciously simple to serve and perfect for entertaining because it’s fully cooked. 1 lb. Peppered Pork Tenderloin 2 Lbs. Build you own sampler pack. 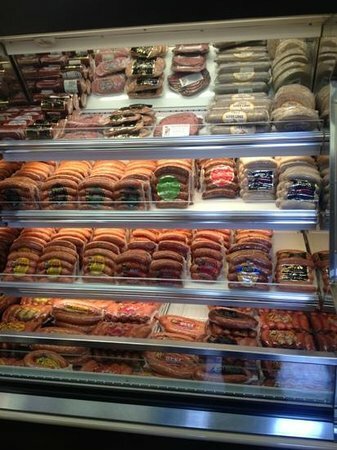 Perfect for gifting or to sample a variety of our finest opas's smoked meats products. Opa’s sampler box combo. Our best ham, jerky, sausage and bacon. The​ perfect breakfast meal, even if it's not morning! 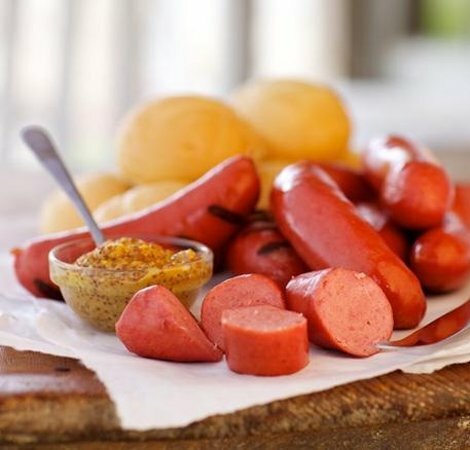 Enjoy our boneless peppered ham, canadian bacon, peppered bacon and country brand pork and beef links. Hareket halindeyken hızlı bir sandviç için durmuş. Çok iyi ekmek, bir sürü et ve kasap ne oldukça bilgiliydi birkaç soru sordu. Ben kesinlikle burada tekrar bir dahaki sefere. Mükemmel bir seçim Alman sosis!! Durdurmak için bazı etler için yanınızda ev. Personel çok yardımsever ve cana yakın. Fiyatlar çok iyi. 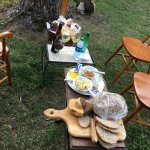 Tripadvisor yorumları okuduktan sonra, kocam ve ben fredericksburg terk etmeden önce çalışmıyor. Personel çok dost canlısı ve yardımsever. Satın alınan çeşitli et, hayal kırıklığına uğradım. Pano BOYASI mutlaka durdurun! Uzun bir günün ardından, dışarıda yemek istemedik, bu yüzden iki sandviç aldım. Bizim için özel sipariş, ve her ikisi de mükemmel. Kesinlikle geri geleceğiz. Fiyatlar çok makul ve personel çok cana yakın. Birçok mağaza, et ve ürünleri satın alınan. Kavanoz öğeler bu şehir merkezine daha ucuz. Hiç bir restoran, bir et market. Öğlen yemeğinde piknik için sandviç büyülü bir rock'a giderken burada durdum. Bunlar çok iyi. Ancak, show yıldızı alman patates salatası. Vay canına, o kadar iyi. Bize en iyi servisi sıcak. Yediğimiz soğuk ve mükemmeldi. O kadar iyi ki denemedim bu en beğenilen yerel ana sokak. Lezzetli örnekleri denedik ve tütsülenmiş et, sandviç, peynir, vazelin, hardal. Çok çeşitliydi. Piknik için ihtiyacımız olan her şey aldık. Mükemmel! Bu marka sosis en sevdiğimiz yıllardır. Eski moda lezzet ev yapımı daha iyi. Yaz salam, sosis ve bazı kasabalarda şeftali bal çıkmadı. Ben biraz sosis burada benim yerel marketlere de mevcut değildir. Yaz aylarında sosis harika ama gerçekten bağımlılık yapıyor. Şeftali bal harika! Ve bir şey! 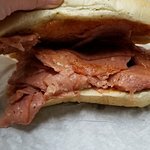 Opa's Smoked Meat personelinden ve geçmişteki konuklardan çabuk yanıt alın.